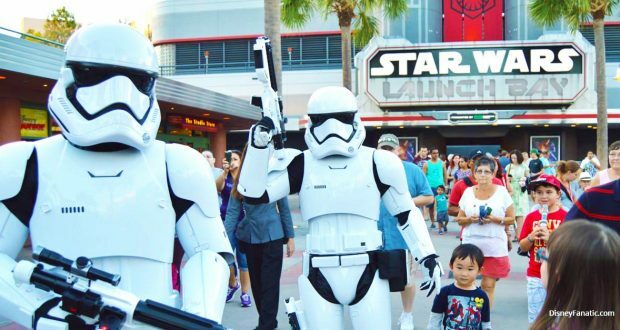 With Disney’s purchase of the Star Wars franchise, Disney’s Hollywood Studios gained a treasure trove of characters for Star Wars fans. This cute little droid made its first appearance in Star Wars: The Force Awakens and made an immediate impact on the fan base, much like R2-D2 did a long time ago in a galaxy… well, right here. You can meet BB-8 at Star Wars Launch Bay for a great photo opp. Do You Want to Meet a Snowman? With the popularity of Anna, Elsa, Olaf, Kristoff, and Sven still at an all-time high, chances are you’ve got a child who would! Olaf, the adorable little snowman created by Elsa’s magic in Disney’s 2013 film Frozen, can be found at the Celebrity Spotlight in Echo Lake, where he’ll be giving out warm hugs. That is, if he’s not somewhere enjoying the summer and letting off steam. If big walking carpets are more your style, be sure to catch this fuzzball at Star Wars Launch Bay. 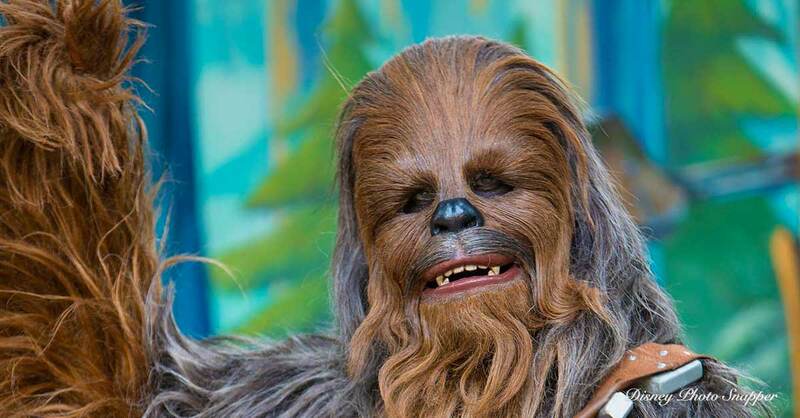 A meet and greet with Chewbacca will surely make your millennium. 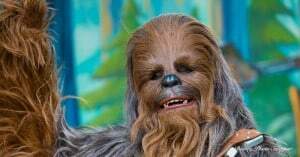 So be sure to stop by and give Chewbacca a big hug, but don’t challenge him to a game of Holochess. If you do though, make sure you let the Wookiee win! After all, it’s not wise to upset a Wookiee. If your kids are familiar with the Disney Junior lineup of shows, chances are good that Jake and the Neverland Pirates is one of their favorites. Jake is available to meet for photos and autographs in the Animation Courtyard. And be sure to catch Jake and his pirate friends in Disney Junior – Live on Stage!, also found in the Animation Courtyard. But be sure to hold on to your autograph, because Captain Hook is always on the hunt for something to steal! You can also meet Jake at Disney Junior Play ‘n Dine, Hollywood and Vine’s character breakfast. If you’re a Star Wars fan, and in particular a fan of the Dark Side, your First Order of business at Disney’s Hollywood Studios should be to meet Kylo Ren. You can stop by Star Wars Launch Bay for a photo opp with this enemy of the Jedi, or feel free to pledge your undying loyalty to him and his master, Supreme Leader Snoke. But whatever you do, don’t bring up his grandfather. He’s a little touchy about that. Another star of the Disney Junior lineup, Sophia the First has taken a break from her duties in the Kingdom of Enchancia to meet her fans at Hollywood Studios. So make your way to the Animation Courtyard, where there’s a whole enchanted world waiting for you! After a quick wait in line, it’s gonna be your time to give her a hug, get an autograph, and take some pictures! And like Jake, you can also meet Sofia at the Disney Junior Play ‘n Dine character breakfast at Hollywood and Vine. Finally, don’t forget to catch her adventures in the Disney Junior – Live on Stage! show along with her friends Amber and James. There’s so much to learn and see! If you’re hoping to get a photo with these Star Wars baddies – who ironically dress in all white – you can find them in Star Wars Launch Bay or occasionally marching through other areas of the park. Getting stormtroopers to pose can sometimes be tough, so if you see them having a spontaneous meet and greet, be sure to act fast. You might not miss them once they’ve gone, but if the movies are any indication, the stormtroopers will definitely miss you! You probably remember these characters from the Toy Story films, if not from your own childhood. You’ll find them in Pixar Place, where they frequently interact with guests, occasionally put on shows, or simply meet with fans looking for an autograph, a photo, or even just a hug. That’s assuming of course that they’re not busy establishing a recon post in Andy’s living room. Like the stormtroopers, you’ll see the Jawas moving around the Star Wars Launch Bay. These traders from Tatooine are usually willing to pose for a photo, but you’ll have to ask them to stop scavenging for scrap metal first. Or you can always offer them a used droid if you’re willing to barter. 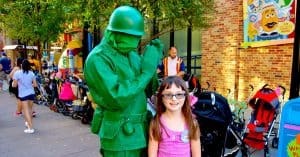 Most Meet and Greets at Disney’s Hollywood Studios don’t offer a FastPass option, so it’s best to find the characters you want to meet as early as possible. 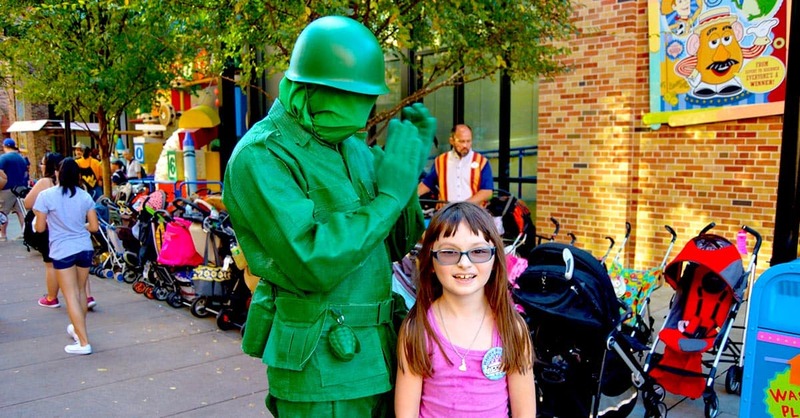 Which of these exclusive characters do you like to meet when you visit Hollywood Studios?